Fantastic tool for kids and adults. Highly recommended! I think I may have to invest for the adult box for myself too! When I get in a fight with my friends on the playground and I come inside, I get the My Feelings Box and I pick out how I am feeling and how I want to feel. When I finish, I already feel better. I feel more calm and I know what I need to do. 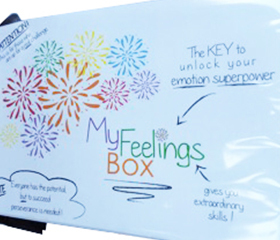 The My Feelings Box is a solution to “unlock your emotion superpower” (adult speak: learn how to understand and manage feelings). 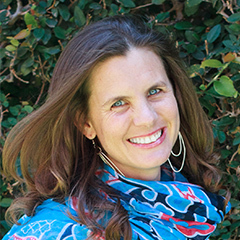 At it’s most basic, it is a tool and prompt to help your child find the right words to describe what they feel, to develop their emotion vocabulary and their emotional literacy. 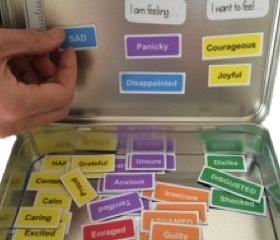 You can suggest feelings from the My Feelings Box to help them identify what they are feeling until eventually they find the words themselves. 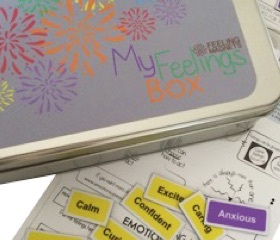 The My Feelings Box can be used by children on their own so they have a neutral place where they can turn to and express their feelings. It is also often used by parents and children together. They often use the Feeling Magnets to help each other find the right words to express themselves. 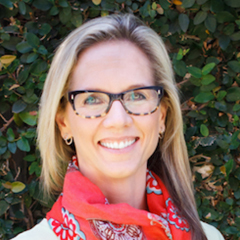 It serves as a conversation starter and further strengthens your bond with your child.